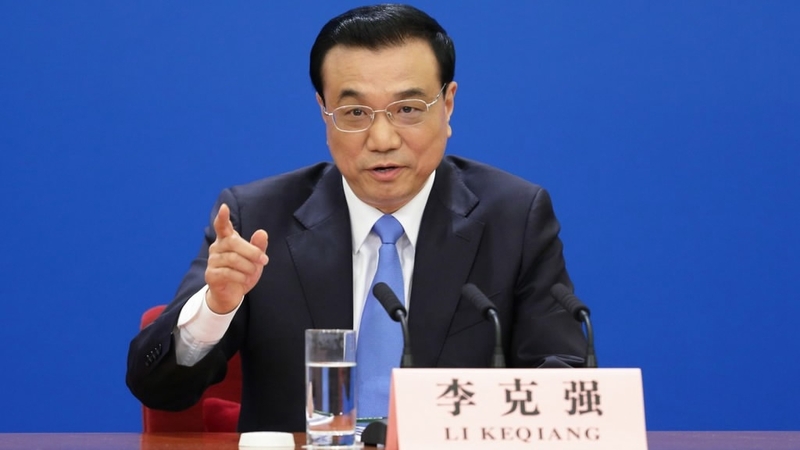 Chinese Premier Li Keqiang will give his annual press conference on Wednesday at the Great Hall of the People in Beijing, at the end of the Fifth Session of the 12th National People’s Congress (NPC). 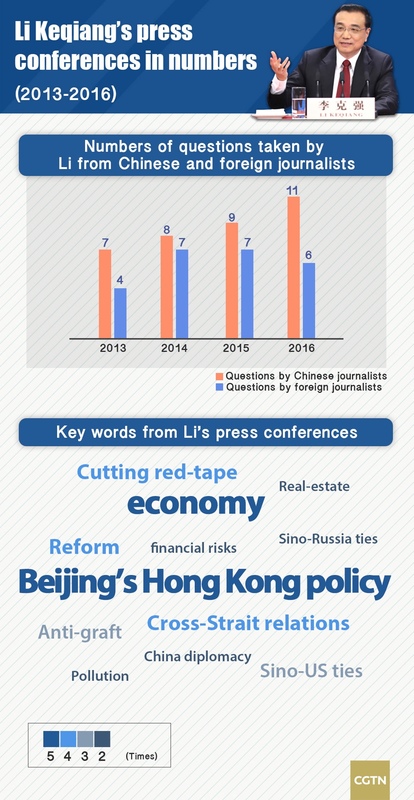 Since 2013, Li has taken questions from both domestic and international media, answering questions on various topics such as the Chinese economy, delegation of power and Sino-US relations. 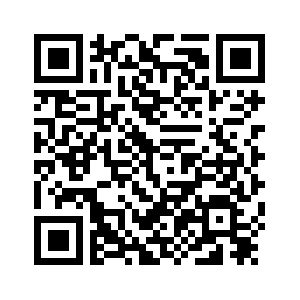 Here are some key words from his previous conferences from 2013 to 2016.